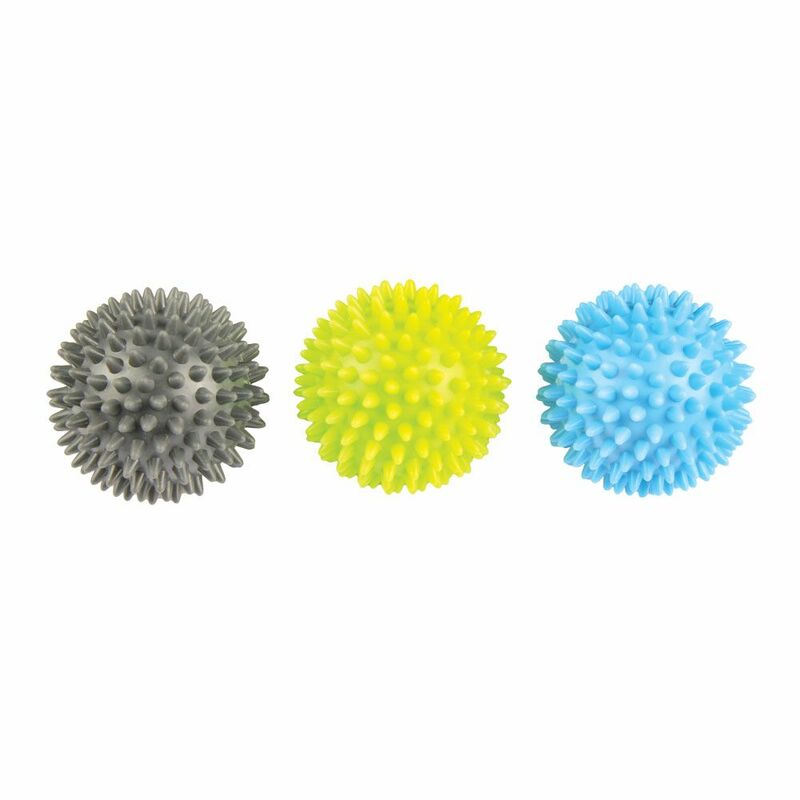 Designed for releasing muscle tension and toxins, as well as for improving blood circulation, the Fitness Mad Spikey trigger massage ball trio is perfect for self-massage and suitable for use before and after workouts. The trio is lightweight, easy to use and carry and comes in a pack of 3 balls with a diameter of 6.5cm (2.5”). It offers 3 different hardnesses to use progressively during rehabilitation or for different areas of the body. Caution: This product is not suitable for use by people with back injuries or those who suffer from lower back pain, unless recommended by a medical professional. for submitting product information about Fitness Mad Spikey Trigger Massage Ball Trio We aim to answer all questions within 2-3 days. for submitting product information about Fitness Mad Spikey Trigger Massage Ball Trio. We aim to answer all questions within 2-3 days. If you provided your name and email address, we will email you as soon as the answer is published. for submitting product review about Fitness Mad Spikey Trigger Massage Ball Trio.